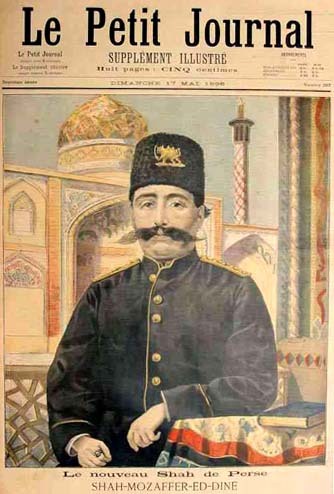 "The last years of Naser ad Din Shah's reign were characterized by growing royal and bureaucratic corruption, oppression of the rural population, and indifference on the shah's part. The tax machinery broke down, and disorder became endemic in the provinces. New ideas and a demand for reform were also becoming more widespread. 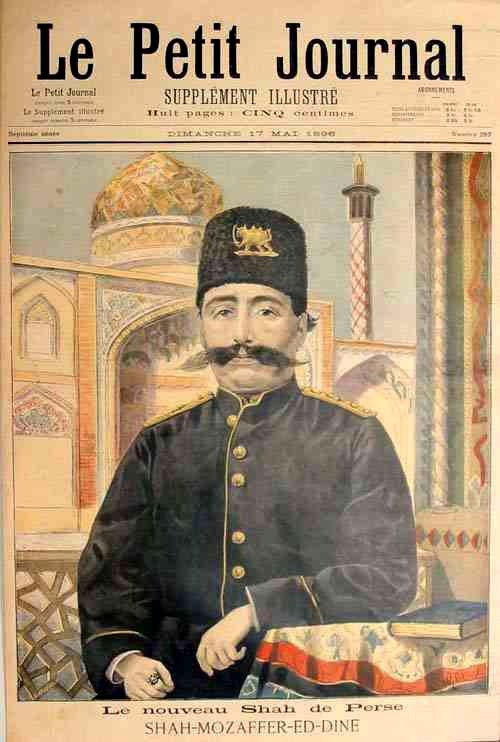 In 1896, reputedly encouraged by Jamal ad Din al Afghani (called Asadabadi because he came from Asadabad), the well-known Islamic preacher and political activist, a young Iranian assassinated the shah." This is an original print from 1896.